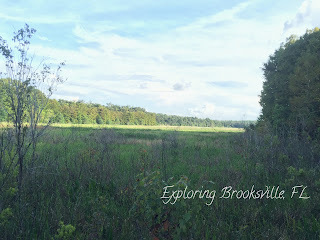 Friday (free minus gas): We got to Brooksville, FL later in the day than we had planned. So we decided to just explore the area. There had been an old Victorian treehouse I had wanted to find but we searched to no avail! We are thinking it was either torn down or further back from the road with no access. Alas, we did find an old run down factory right off the main road on our way to hike. You can't go inside as there is a 'No Trespassing' sign, but we did peek in a bit and assume it was some kind of produce or grain factory. Definitely really neat!! The address is 10190 N. Broad St. in Brooksville. We found it while on our way to Chinsegut Nature Center, where we hiked. It was a really neat area and a fun hike (moderately buggy) and we even saw deer. There is also a place nearby called the Chinsegut Hill Manor, an old home that is open for the public to explore from 10-4 (not open Sundays). Unfortunately it was after 4, but the grounds were beautiful (there is a retreat center there as well that can be rented out) and we plan to be back. 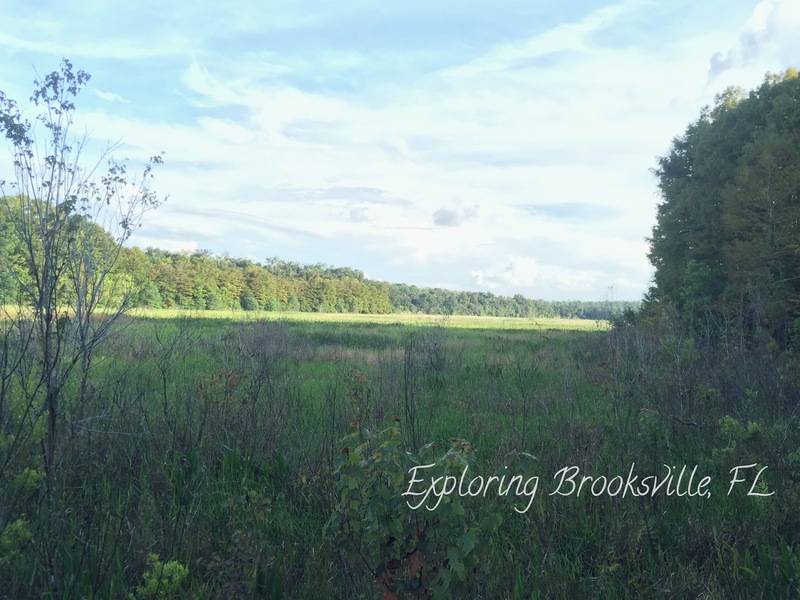 Brooksville has a lot of old Florida charm and I would have loved more time to discover it all! Saturday (Weeki Wachee-$13 adults, $8 kids + food&drink/ Tubing- $35 per double/triple vessel): We went to Weeki Wachee! To see the mermaids! I had also planned to kayak as well. But you know the whole, "you can't have it all thing"? Well, that might be somewhat true. At least not without running around like a chicken with your head cut off. Maybe if you aren't such an ill prepared planner like myself if might work out better. Anyways, Weeki Wachee is wonderful! Definitely kitschy, down home Florida, but kind of in the "meet real Florida" way. The mermaid show was really neat (even the boys said so)! We watched the 1:30 show (they had three: 11, 1:30 and 3), which was more of the 'how-to-be-a-mermaid' instructional show, but that was perfect for our men-folk who definitely prefer the technical and historical bits over a storyline. The 11 and 3 o'clock shows were Ariel. We will have to go back to take that one in. You can also swim in the spring and there are awesome water slides that dump out right into the river. If you ever went to River Country at Disney before if shut down the slides are reminscent of that, so that was cool for me. There is also an animal show and a boat ride. Also the drinks and food were really reasonably priced! No need to pack a cooler in my opinion! *The mermaids, slides, kid splash pad, swimming, animal show (we didn't do this) and boat ride are all included with your park admission. Tube rentals and food are extra. I was determined that I was going to kayak. What the websites aren't great about telling you is the fact that everything will be booked on summer weekends. I ultimately got us kayaks for later in the day, but it meant we left Weeki Wachee before it closed. It also meant that I spent the first hour on the phone with kayak places, running back and forth from the park to the kayak place that shares the Weeki Wachee parking lot and totally abandoning Babe during our time at the park alone before some of our family got there. Learn from my lesson, DON'T DO THIS! Though I ultimately got us on the river I could have saved a lot of strive 1.) if I had just called ahead originally or 2.) if I had just let it be and tried to call the kayak place later in the day/ be fine to just forgo the kayaking. **Advice- Call ahead! If you call ahead you can definitely fit everything in, but you have to be scheduled. The best time to be at Weeki Wachee (from our experience) is first thing in the morning. So if that is your main goal and you really want line free slide time, then head to Weeki Wachee first. Spend a few hours doing slides etc and then catch the 11:00 mermaid show. After that you can go kayaking. The kayak place that shares the parking lot with Weeki Wachee does it's last put in at 2pm (12 once summer is over). Then they will pick you up down river and drive you back to the park. OR you can kayak the river first (would need to get started around 9 at the latest) and then make it back to Weeki Wachee in time for the 3pm mermaid show (maybe even 1:30 depending on how fast you kayak) and then spend the rest of the afternoon relaxing on the beach and taking things easy after a morning of paddling. This would be our preference since we prefer kayaking over slides. OR if you want to be like me, and not plan well, then you can fart around, get to Weeki Wachee later in the morning and then hope that one of the kayak places will have something open up. We used the Kayak Shack and they were really great! They will most likely be the ones I use again in the future- pretty much because being nice to someone on the phone goes a long way in my book. They close at 7 (vs. 5:30 at the Weeki Wachee one) and let us on the river around 4. We did have to paddle against the current, but hey, it made for a good workout. If the rain hadn't come in and washed us out, we would have made it to the big rope swing that's about an hour paddle up river (my intended destination). We would have had plenty of time to get back to the Shack before 7. If you choose this option I would say you could half the time it took you to go against the current and just make sure you leave that amount of time for the return trip. There is also an enticing restaurant (Upper Deck), that overlooks the river, right next to the Kayak Shack. If we hadn't been soaking wet we would have stopped in for a bite. Note- The Kayak Shack will also drive you to the start of the river so that you can just paddle back to them without having to go against the current, you just have to get there earlier in the day (before 2:30 or a little earlier). *Another great option if able would be to split your days and spend 1 day on the river and another at Weeki Wachee park. Definitely the best of both worlds. *Also note that the slides and some of the other amenities are only open at Weeki Wachee during the summer. I would call ahead for your intended date to ensure everything is open and to inquire about showtimes before you go. I'm a work in progress so learn from some of my mistakes! 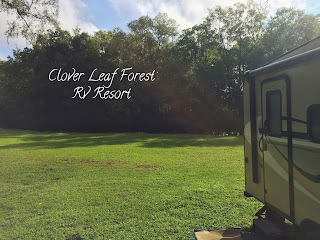 We gave our free camping card another try and this one panned out way better than the last! 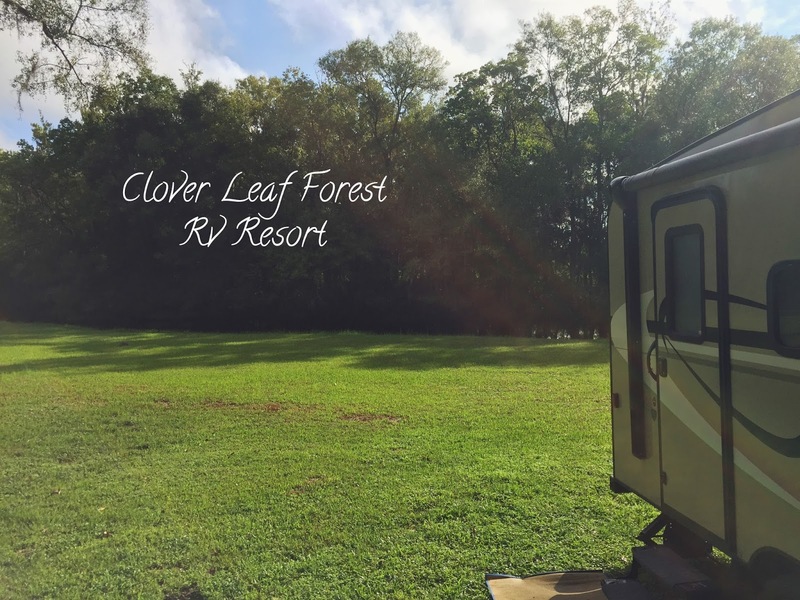 Clover Leaf Forest RV Park was great, I mean you can't beat free, but even with that aside we can't complain. There were still a lot of permanent trailers, but most were empty, we are assuming for the snow birds. You also aren't packed in like sardines and it was nice and woody! There is a creek that runs through the park and we made sure to get a spot along it. It was a great view! However, be careful about doing that or you might wake up to waterfront property, if you catch my drift. Flo enjoyed her first flood though! Another perk we liked about this park is that they had septic hook up right at your spot. So nice not to have to wait in line to empty the tanks before leaving! If it hadn't flooded so much that it made ours unusable (we just drove to another empty space on our way out) it would have been so easy breezy to drive off on Sunday! Though we didn't use them, the park also has great amenities that are shared with the 55+ community that takes up the other side of the property, including both indoor/outdoor pools, hot tub, driving range, shuffle board, etc... We would stay there again! We found this great BBQ place right past the Lakeridge Winery on our drive out to Brooksville. Jack's Bar-B-Q had awesome BBQ sandwiches. It's a hole in the wall kind place right off the road, decorated with hats from all over and all kinds of Gator memorabilia. Definitely a stop for any die-hard Gator lovers out there! I am always very skeptical of BBQ because I tend to compare everything to 4Rivers and nothing matches up. This matched up, just in a different way. The meat here is mostly pulled/sliced (I didn't risk brisket, that's a 4Rivers only things for me) and so moist! I got the mixed sandwich (all meats mixed together) with coleslaw (vinegar based), chips and a drink for around $6.50. You really can't beat the price. The sandwich alone would have been enough (so much meat!) and that's only $4.50. Driving on the turnpike or a local Orlandoian? Definitely give this place a try!! And of course I forgot to rate this FloRida adventure in the video, but this one gets a: We will DEFINITELY do it again! We will be back to explore the length of the river and maybe even catch another mermaid show; the river though is the definite! And that's it for this trip! If you made it this far, kudos! 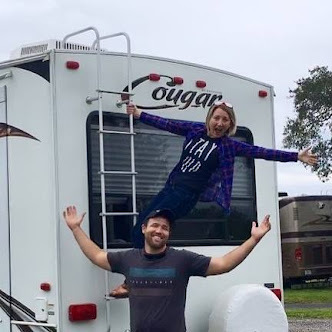 And as a little parting gift for the day feel free to enjoy some of the funnier moments of our trip; Babe's reaction to his mermaid surprise and doubts on my tree swing spidey sense, plus Flo's first flood! Have a great day!! do fun! 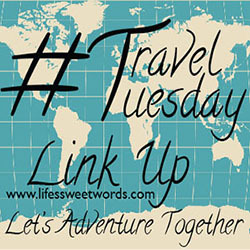 This looked like a great trip! That seems like such a fun trip! I've heard of the mermaids at WeekiWachee but I've never seen them - I'll have to check them out! My family went to Weeki Wachee a couple years ago--in large part because my mom remembered going at a kid and was determined to find out if the place still existed! It was definitely unique--we saw the two different mermaid shows, but we didn't swim because it was January and chilly, ha! But we saw lots of manatee on the boat ride, which was awesome, too! 5 on Friday: Coffee and Other Happies!